Contains premium dosage of Rauwolfia Serpentina which act on the heart blood vessels and thus manages high blood pressure. 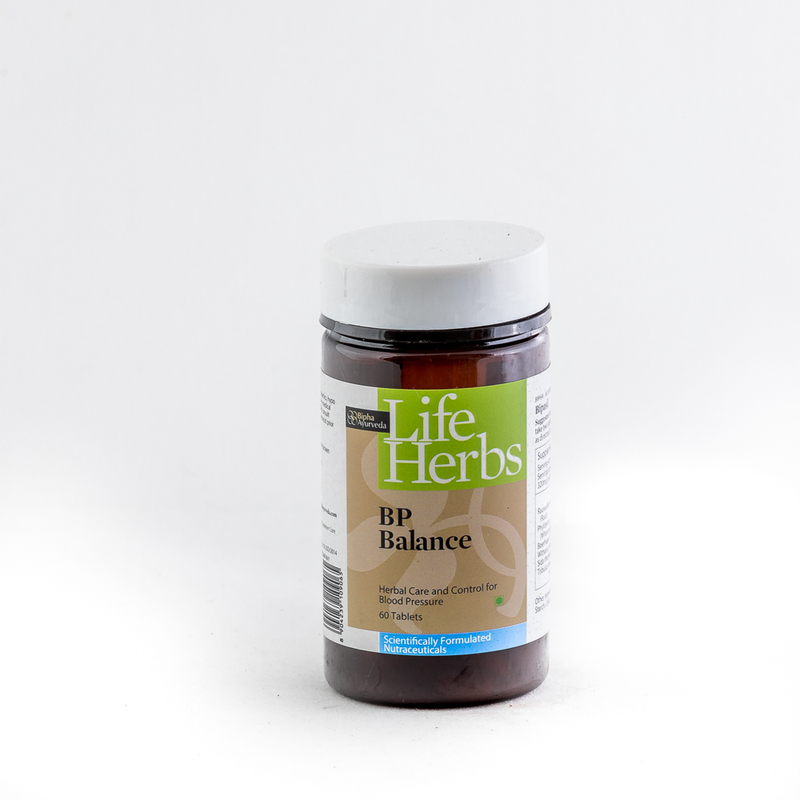 BP Balance is a polyherbal formulation to regulate Blood Pressure/Hypertension.RegulatesÂ blood pressure of all etiologies with optimum dose of Rauwolfia serpentina and other anti stress, calcium channel blockers, diuretics, ACE inhibitors.StabilizesÂ the raised systolic and diastolic blood pressure. A comprehensive therapy for Hypertension of all etiologies.Safe & Proven for Long term usage. Rauwolfia serpentina , Phyllanthus amarus , Boerhaavia diffusa, Withania Somnifera, Sida rhombifoliaÂ Tribulus terrestris . As a dietary supplement, take two tablets twice daily before food or as directed by the physician.